Posted July 28th, 2013 by alexa & filed under Weddings. 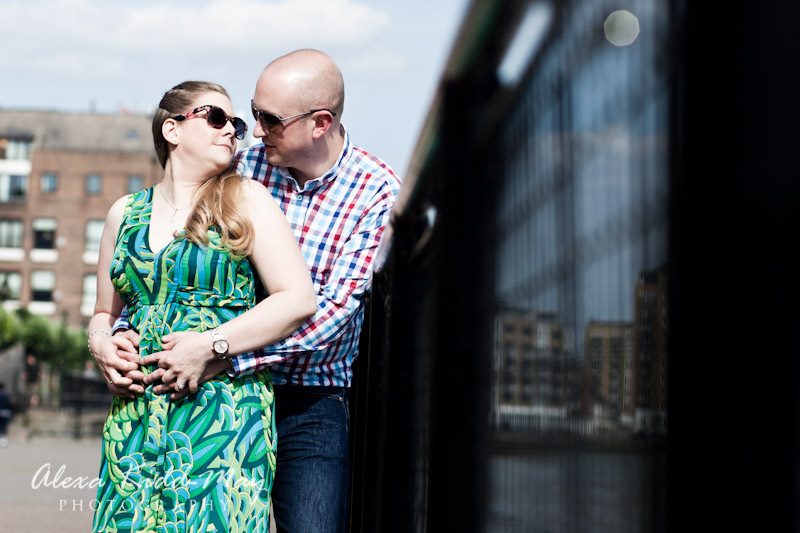 Vicki and David are getting married in Tower Bridge next month. I really couldn’t be more excited! 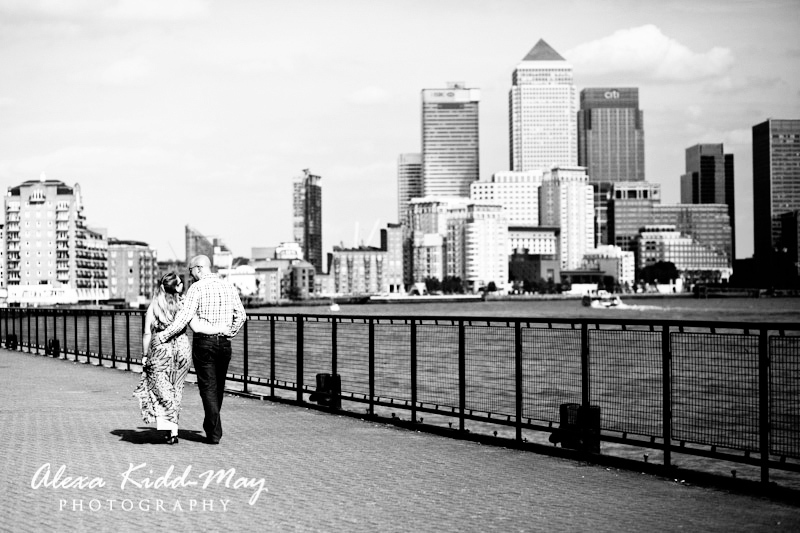 The thought of photographing a wedding in one of London’s most stunning and iconic landmarks is like a dream come true. 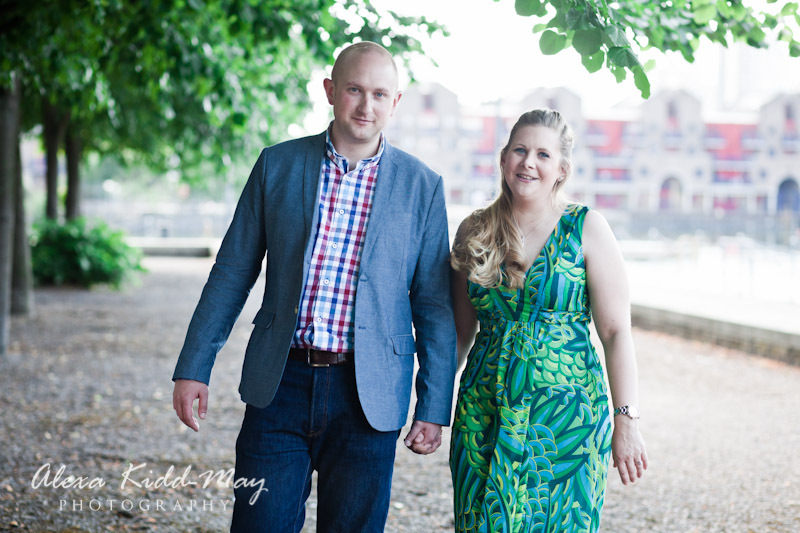 For their London engagement photography shoot Vicki and David chose Wapping. This is where they live, therefore they were keen to incorporate the River Thames and Canary Wharf in the photographs. 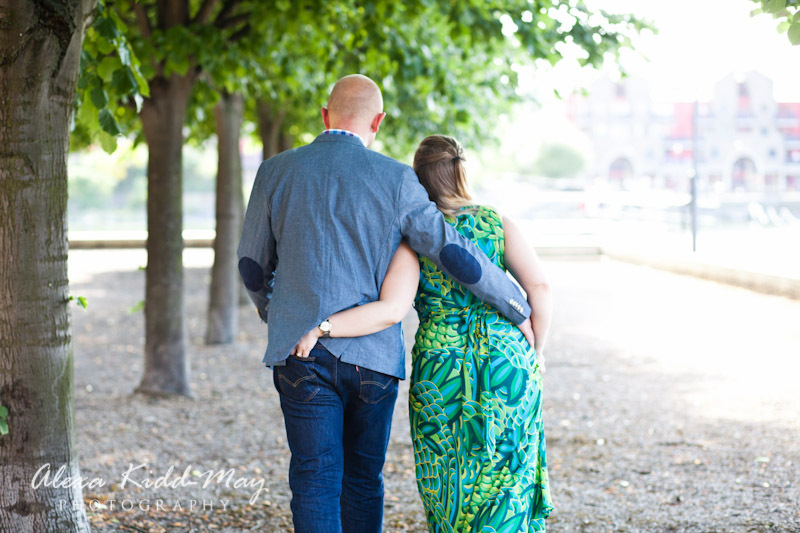 I always encourage couples to pick somewhere that means a lot to them as the setting for their pre-wedding shoot. 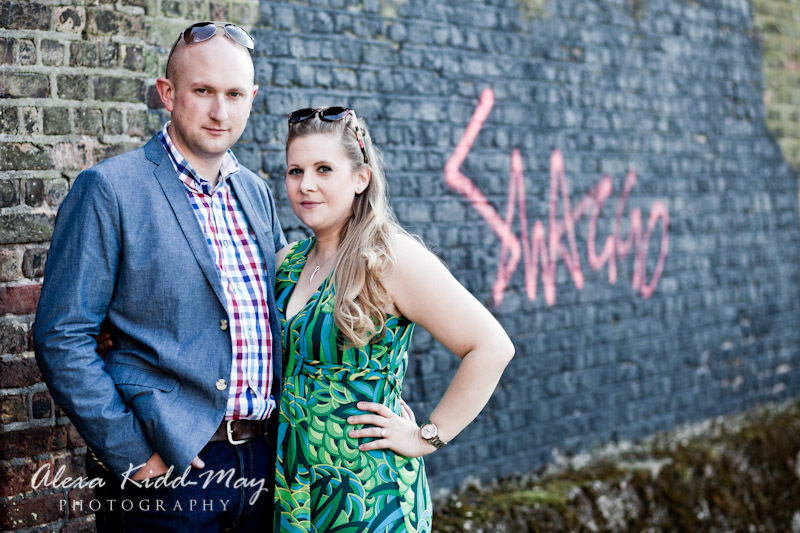 For this fun couple Wapping was perfect! It’s also a part of London that I’m not familiar with so I had the most fantastic afternoon. 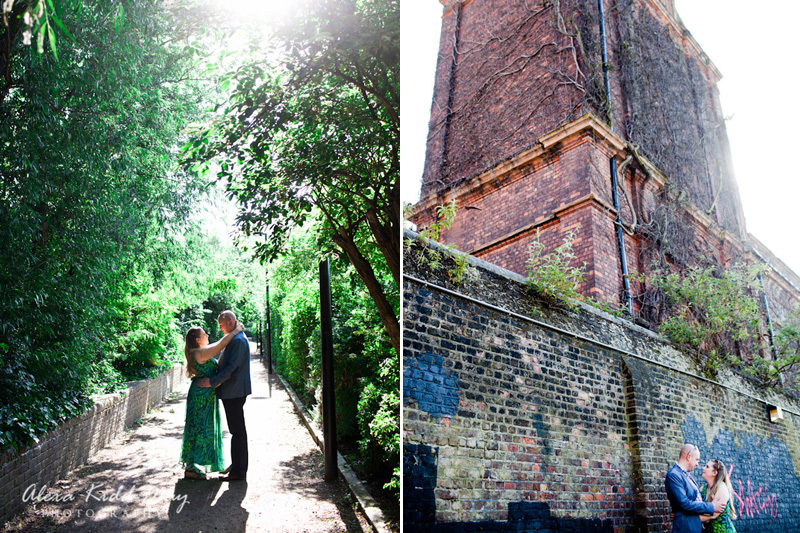 In the warm sunshine we explored the area and I loved hearing all about their wedding plans too. 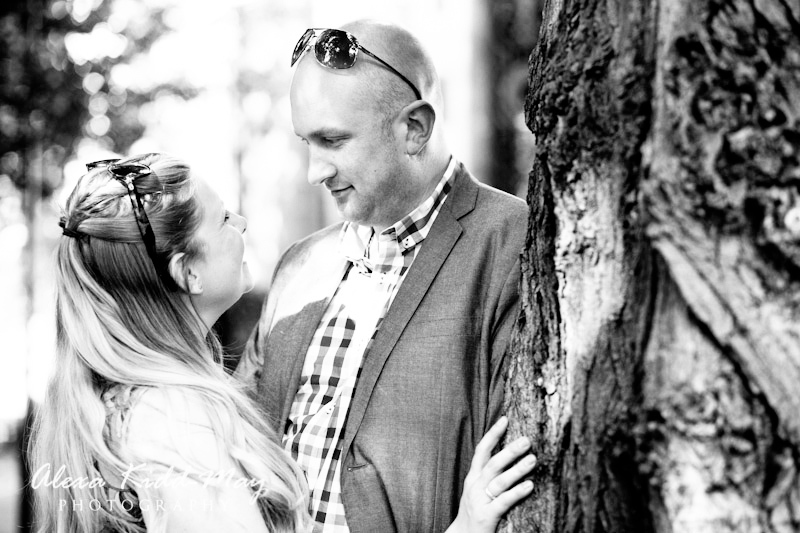 One of my favourite shots from our engagement session is the first one of the blog. Here Vicki and David are walking next to the River Thames, arm in arm, completely forgetting I’m there (which is the way I like it!) The fantastic backdrop of Canary Wharf, just the other side of the Thames, works perfectly. 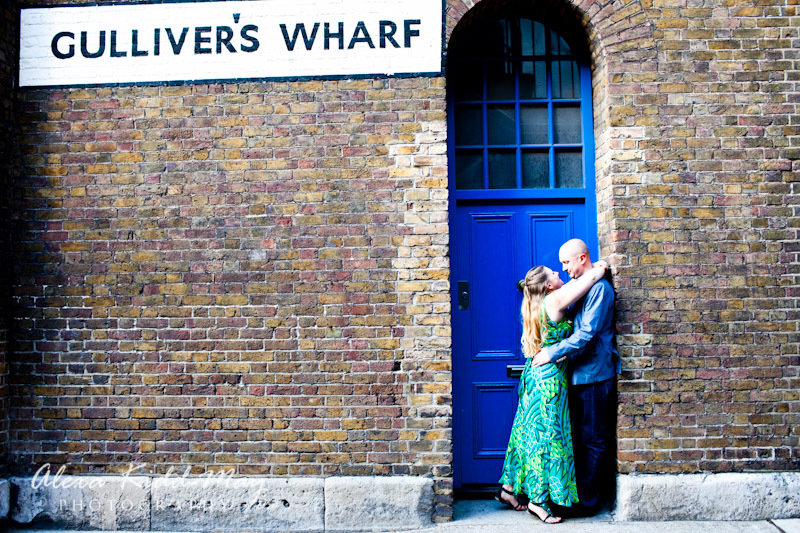 Another favourite is the last of the blog where we found this bright blue doorway in Gulliver’s Wharf. 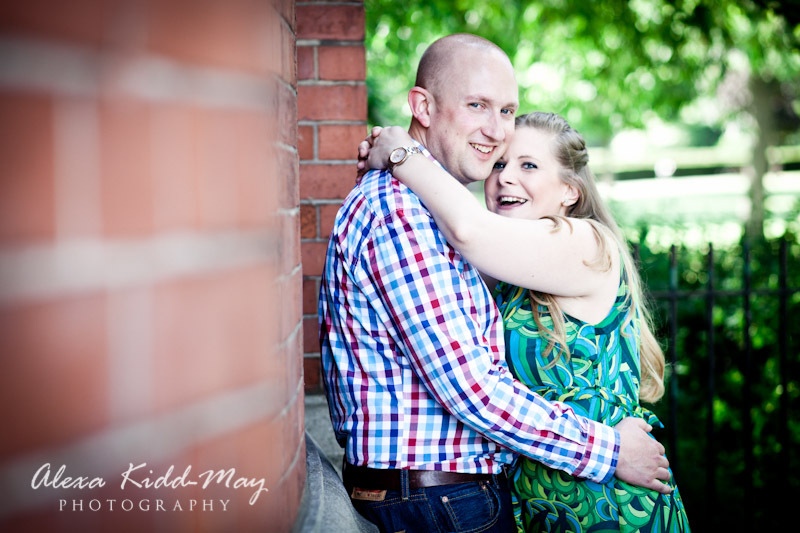 I love the old brick wall, the pop of blue colour and the way Vicki is on tip-toes reaching up to hug her fiancé. 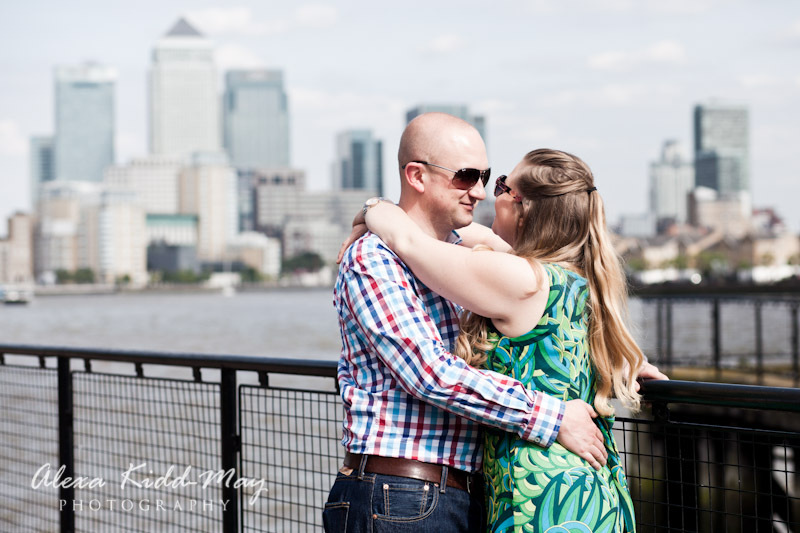 This couple were so lovely and such a laugh that I really can’t wait for their wedding in Tower Bridge. 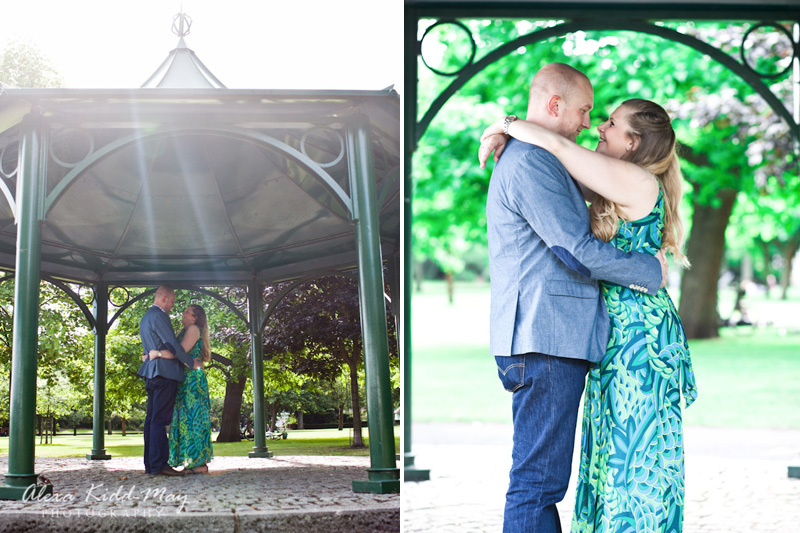 If their engagement shoot was anything to go by then I think their wedding day is going to be one of most chilled out weddings I’ve ever photographed! 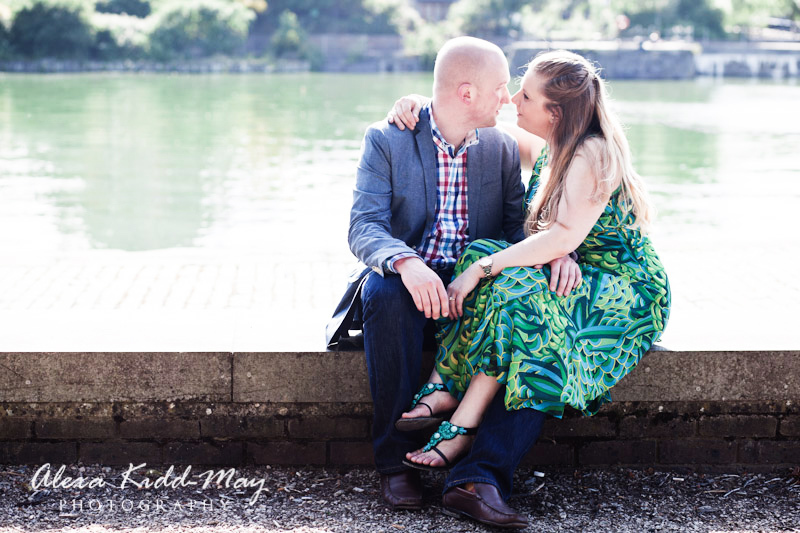 If you’d like to book a photography session, whether it’s for your engagement or your family, in your favourite part of London, please do get in touch on hello@alexakidd-may.com or 07813 816335. I’d love to hear where your favourite location is and include it in your images.